POST FALLS HIGHWAY DISTRICT (PFHD) is a stand-alone governmental agency that began as Pleasant View Highway District in 1911. The very first entry in District minutes was made October 9, 1911 by a petition filed with the Clerk of the Kootenai County Board of Commissioners "praying for the organization of a highway district as provided in Chapter 55, Idaho Sessions Laws of 1911". Idaho Governor, James J. Hawley, appointed Charles Waggoner, E.A. Michael and W.F. Plonske as commissioners on November 15, 1911. The Road Director made $3.50 per day; general workers earned $2.00 per day and the secretary would earn $7.50 per month. In May 1971, the existing eight Highway Districts were dissolved by the County Board of Commissioners. Four new sections were created and designated as One, Two, Three and Four. 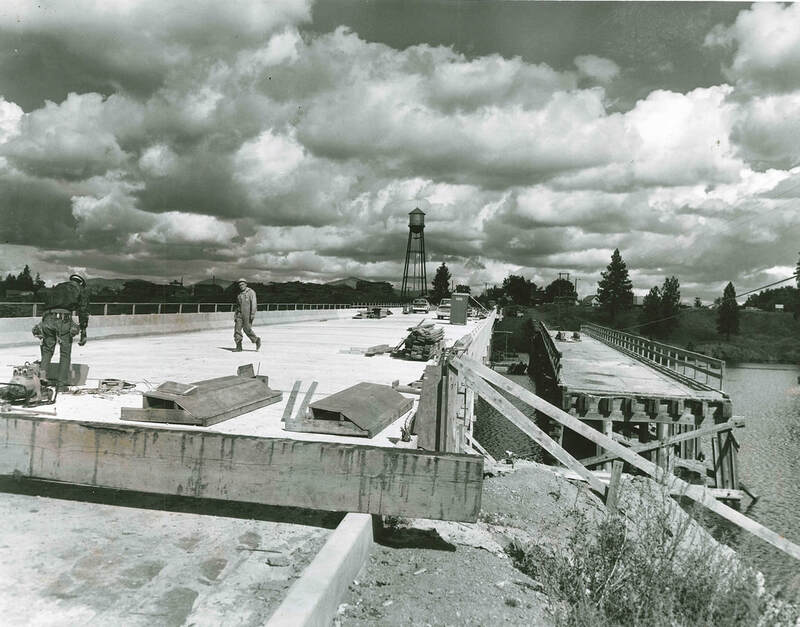 An order signed May 16, 1971 at 12:01 PM declared section One to be Post Falls Highway District. The other sections became known as Lakes Highway District, East Side Highway District and Worley Highway District. There are many municipalities and organizations that assist the District and in turn, the District assists them. The federal organization, Local Highway Technical ​Assistance Counsel along with the T2 center, ​Idaho Transportation Department, Kootenai County, numerous city entities, fire departments, law enforcement agencies, engineering firms and assorted private businesses make up the District's contacts and partners for the successful and smooth operations of road building and maintenance projects. -Area - Approximately 130 sq. miles, approximately 81,542.26 acres. Copyright © 2019 Post Falls Highway District. All Rights Reserved. Post Falls Highway District is Title VI compliant and Equal Opportunity Compliant. Contact the office for more information or special events.